This week, we look at a new product that is being introduced to America’s great Mississippi River system. The New Orleans-based Great Northern & Southern Navigation Company LLC, or French America Line as it will be called, will introduce the new 150-berth river cruiser Louisiane. The new vessel has been designed to supply a level of service not seen before on American rivers. We also have a look at last month’s two new ships, Holland America Line’s Koningsdam and Viking Ocean Cruises’ Viking Sea. And finally, comes news of another new ship for Princess Cruises, in addition to the recently-announced Majestic Princess. “Intimate, exclusive and elegant” is what the brochures call it. The “ne plus ultra of American river cruising” is how its founder Christopher Kyte describes it. 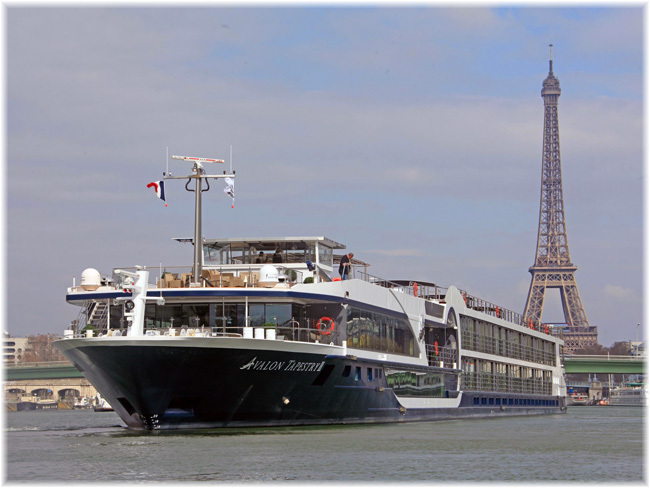 The newly-established French America Line will introduce its new boutique river cruiser Louisiane to America’s river cruising scene this August. The 150-berth Louisiane will offer twenty departures between August and December this year, with a choice of fifteen exclusive voyage itineraries on the Mississippi, Ohio, Tennessee, Cumberland and Red Rivers. Kyte, the new line’s founder, began his career with San Francisco-based Matson Lines and eventually established his own travel business in 1980, when he founded Uncommon Journeys as a purveyor of upmarket rail and cruise holidays. Using Cunard Line, Holland America Line, Amtrak and Via Rail Canada, as well as the Delta Queen Steamboat Company, Kyte built what is today a well-regarded operation that offers the best of rail and cruise holidays, usually in conjunction with each other. In 2012, Kyte also helped bring the 360-berth sternwheeler American Queen out of lay up and back into service on the Mississippi, in the process becoming the first president of the American Queen Steamboat Company. French America Line ceo Ken Grigsby has also worked with Uncommon Journeys, for twenty-five years in his case, and had previous experience in banking and hotels before becoming involved in Uncommon Journey’s first-class rail trips. President Tom Markwell was previously managing partner of Haimark Travel for marketing and sales and previous to that was with Pandaw Cruises North America and Chicago-based Gohagan Travel. Uncommon Journeys’ president Kevin Tam, also a long time hand, will be general manager of the new river operator. His business is expected to supply about a quarter of French America Line’s passengers. Outside investors include Sydney-based cruise consortium Cruiseco, who have also taken a 14-night exclusive charter of the Louisiane, from New Orleans to Nashville, between October 26 and November 9. Cruiseco has also been appointed exclusive general sales agent for the new line in Australia and New Zealand. This cruise will tie in with Cruiseco’s exclusive charter of the 684-berth Azamara Quest, which is making a 32-night voyage from Montreal to New Orleans with nineteen ports and nine overnight stays. 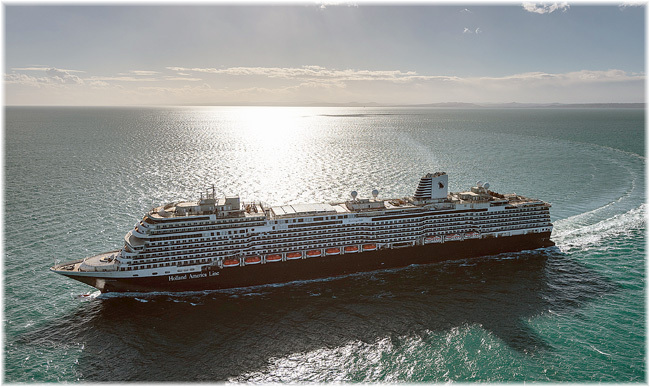 The Azamara Quest will leave Montreal on September 24 and passengers’ luggage will be transferred between their staterooms on the Azamara Quest and new accommodations on the Louisiane on Wednesday, October 26, as they explore New Orleans. The 1,599-ton Louisiane was built by Leevac Shipyards in Jennings, Lousiana, in 2000 and completed by Cascade General Shipyards of Portland, Oregon, who are very active today with cruise ship refits. The vessel, which has been laid up in Portland since 2008 was acquired by Xanterra Parks & Resorts, who took over the assets of previous operator Majestic America Line, in 2011. Xanterra is the parent company of Windstar Cruises, who now operate three tall ships plus three yacht-style ships acquired from Seabourn in 2014 and 2015, and have decided to sell the Columbia Queen as surplus to their needs. Xanterra had already disposed of the 1926-built Delta Queen on the Mississippi. Setting the Louisiane apart from the other American river ships are a complimentary one-night pre-cruise deluxe hotel stay in the embarkation city, with transfers on sailing day, complimentary custom shore excursions in every port, complimentary house wines, select beers, house-brand spirits, coffees, teas, soft drinks and purified water, free 24-hour room service and complimentary Wi-Fi wherever it is available. The Lousiane will also offer the finest cuisine on America’s rivers, with Southern and Continental menus created by award-winning chef Regina Charboneau, who has worked with Kyte in the past. 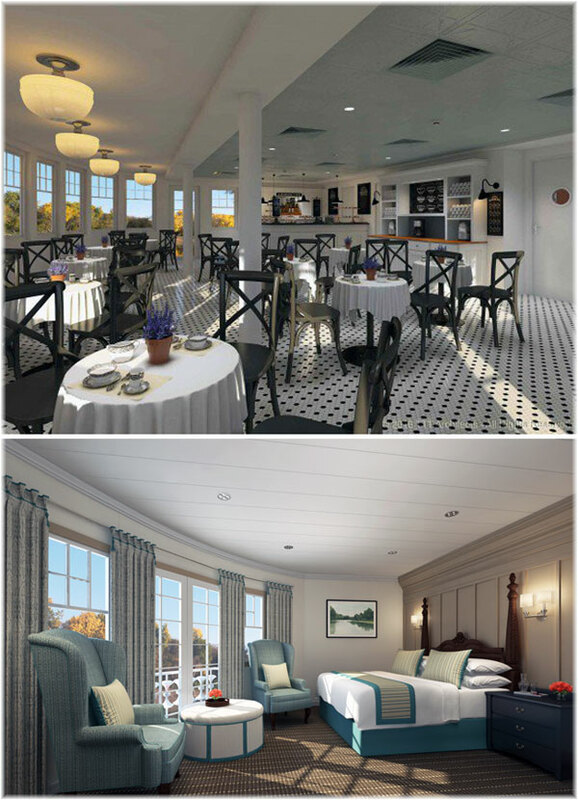 As well as a main dining room that doubles as a supper club, guests will be able to dine in the relaxed atmosphere of The Veranda, Louisiane’s complimentary alternative casual dining venue. The on board ambiance will be casual but sophisticated, with a distinctive French flair. Guests will also be able to sail waterways not accessible by larger vessels, and as well as an iPad in every stateroom and suite, will benefit from plush spa-quality bathrobes, slippers and a pillow menu. Cruises will be divided into Sampler Cruise Tours (4 nights or less), Classic Cruise Tours (5 to 7 nights), Grand Cruise Tours (8 nights or more), and Collector’s Cruise Tours, of varying lengths. • Sampler Cruise Tour: Frontier Fete – November 9 – 4 nights from Nashville return. Fares from £1,337 per person twin share. • Classic Cruise Tour: American Adventure – August 27 and September 4 – 7 nights from Pittsburgh to Louisville. Fares from £2,814 per person. • Grand Cruise Tour: Southern Spirit – December 30, 2016 – 9 nights from New Orleans to Memphis. Fares from £3,599 per person. • Collector’s Cruise Tour: Red River Holiday ~ 8 nights from New Orleans return. Fares from £3,138 per person. This year the total number of North Americans taking European river cruisers is expected to exceed 500,000, representing a seven-fold increase since 2001. Even if Viking River Cruises add up to six proposed new 300-berth US-flag vessels, starting in 2018, and with existing competition from the three boats operated by American Cruise Lines and American Queen, 14 million North Americans took a cruise last year. This should mean enough business for all lines on the Mississippi and its tributaries. The Viking Sea was delivered on Friday, March 24, and left Istanbul on her maiden voyage yesterday, eventually to reach Greenwich, where she will be christened on May 5. The Koningsdam, on the other hand, was delivered last Thursday and leaves Civitavecchia on her maiden voyage this Friday. She will be christened in Rotterdam on May 20, named in honour of King Willem-Alexander of the Netherlands. These two ships tend to define the boundaries of upper premium cruising today, as small as one might like to go and as large. But where the Holland America ship follows the mainline cruising tradition of extra charges for most things, Viking Cruises include no extra charge restaurants, free shuttle buses, complimentary wine and beer with meals, free coffees and teas throughout the ship, free Wi-Fi and complimentary bottles of water when leaving the ship. The Koningsdam is presently registered in the Bahamas, and unless her registry is changed before she is christened, she will become the first Holland America ship not to be registered in the Netherlands for some years. And for Viking’s most recent ship, we note that she is owned by Hai Xing 1601 Ltd. Seeing that Silversea’s 388-berth Silver Shadow was owned by a company called Hai Xing 1201 Ltd for a time, it may be that Viking Cruises has entered into a financing agreement with China’s ICBC Leasing. While once registered under the Hai Xing name, Silver Shadow has now been registered with Silversea Cruises Ltd in Fort Lauderdale since November 2014. Hai Xing is a name that has been used by Chinese passenger ships in the past and was carried by the former Dutch liner Randfontein for fifteen years, when she traded between Shanghai and Hong Kong, before being scrapped in 1996. Hai Xing can be translated into English as sea star, but can also mean all right. On Saturday, Carnival Corp & plc announced that it has finalised contracts with Italian shipbuilder Fincantieri SpA for all five of its new cruise ships as part of the memorandum of agreement announced in 2015. The five new ships include two for Costa Asia, for deployment in China, two for Princess Cruises and one for P&O Cruises Australia, with deliveries expected in 2019 and 2020. The new ships for both Costa Asia and P&O Cruises Australia are expected to be 135,500-ton vessels with the capacity to carry 4,200 passengers. The 143,700-ton, 3,560-passenger ships for Princess Cruises will be the brand’s fourth and fifth Royal-class vessels, featuring the design platform used on Royal Princess, Regal Princess and the new Majestic Princess coming in 2017.